Barcroft is a friendly, quiet neighborhood originally established in 1903. It is host to about 800 mostly modest single-family homes, and about 400 apartments along the outer edge. Most of the houses were built in the 1930-1970 era, with a growing number of newer, larger homes. Barcroft is represented by an active civic association, the Barcroft School & Civic League. The neighborhood hosts the historic Barcroft Community House built in 1908, originally as a church, then as a school (a genuine Arlington one-room school house), and then as Barcroft's community home. The Barcroft School & Civic League publishes a monthly neighborhood newsletter, The Barcroft News, first published in 1903. 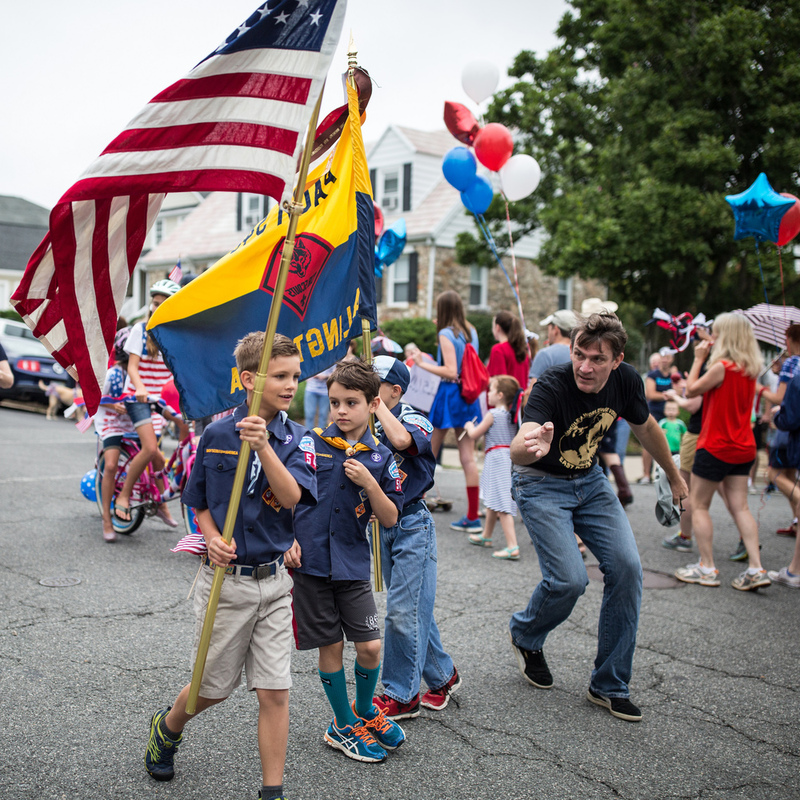 The Barcroft School & Civic League sponsors neighborhood events ranging from its annual Fourth of July Parade and picnic to a Holiday program with a visit from Santa Claus, meet-the-candidates nights before elections, spaghetti dinners, Easter egg hunts and National Night Out ice cream socials. These events retain the strong spirit of community first developed here over 100 years ago. Want to know more about Barcroft House? The Barcroft School & Civic League is the neighborhood civic association representing members of the Barcroft neighborhood. Residents are eligiible for memberships as either an individual member or a household member. Memberships run from January through December of each year. All members must renew annually. January is time to renew or join. Dues are $5 per adult ($10 per couple), and membership is limited to Barcroft residents. You can review the current membership list (PDF) to see if you have paid your due. You can join by filling out and submitting a membership form (PDF) to the BSCL Treasurer. The membership meets every month (except in the summers) on the first Thursday of each month. When we vote on neighborhood issues, only members can vote. Joining says you are interested in your neighborhood and want to be part of what happens there. The larger our membership, the better we are heard by the county and other organizations. All BSCL events are carried out by volunteers. Please consider volunteering to help with some of the activities. Help is needed with all events and at all levels. The form lists some areas that you might find interesting, or you may want to start something new. Just show what you'd like to do under 'Other'. Volunteering is fun, and you meet some interesting people.